Never forget to file Missouri tax forms again. 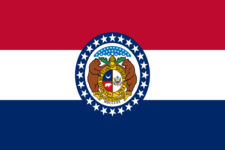 Are we missing a Missouri tax form? If we're missing the form you need, help us help you! Suggest a form we should include! Totally free, no credit card required! What's included in my account? Need a new account? Create one. Thanks for taking the time to suggest a form! Please provide as much information as possible, so we can approve and add it ASAP. Select form State or CountryUSAAlabamaAlaskaArizonaArkansasCaliforniaColoradoConnecticutDelawareDistrict of ColumbiaFloridaGeorgiaHawaiiIdahoIllinoisIndianaIowaKansasKentuckyLouisianaMaineMarylandMassachusettsMichiganMinnesotaMississippiMissouriMontanaNebraskaNevadaNew HampshireNew JerseyNew MexicoNew YorkNorth CarolinaNorth DakotaOhioOklahomaOregonPennsylvaniaRhode IslandSouth CarolinaSouth DakotaTennesseeTexasUtahVermontVirginiaWashingtonWest VirginiaWisconsinWyomingOther - specify in description. Select Frequency Due Monthly Quarterly Annual Other - specify in description.